What is an Alloy and Why are They Used? There’s a good chance you have heard of alloys, but do you know what one is? Believe it or not, you probably encounter alloys in your everyday life without even knowing it. Alloys are present in cookware, jewelry, tools and more. So, what is an alloy and why are they used? Read on to learn more! An alloy is a blend of two or more different metals or elements that lend its properties to the total compound. Alloys are created to enhance the properties of the metals and elements they contain. Think of an alloy as a current pro basketball super team, where the whole is comprised of strong individual parts. Alloys can actually exhibit unique properties that are different to the metals they are made from. In a nutshell, it’s combining the strengths of different metals and elements to produce a superior, solid solution. There are several benefits to using alloys vs. pure metals. Alloys tend to be harder and stronger than pure metals, providing more durability. Alloys also provide top notch resistance to corrosive environments and rot, much more than a single pure metal could offer. Alloys are also used over pure metals to improve appearance, as they are lustrous and contain a better finish. 242 Aluminum – Cast aluminum alloy used specifically where strength and durability at extreme high temperatures are called for. 535 Aluminum/Magnesium – An aluminum/magnesium alloy that does not need heat to reach its full properties potential. It provides superior corrosion resistance and has excellent machining characteristics. C905 Tin/Bronze – A bronze alloy, that is also referred to as “Gun Metal”. It is perfect for applications that call for heavy load bearing under slow speeds. C955 Nickel/Aluminum/Bronze – A nickel/aluminum/bronze alloy that is known for its resistance to impact and shock. C863 Manganese/Bronze – A Manganese Bronze alloy that can operate under heavy loads at high speeds. It shows superior mechanical qualities and corrosion resistance. Patriot Foundry is a leading non-ferrous casting foundry specializing in a variety of alloys. 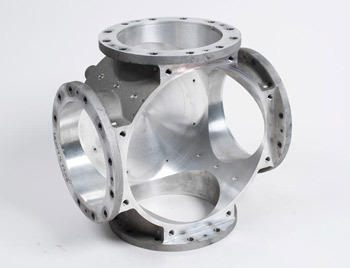 Browse our site to learn more about alloy casting or contact us today with any questions you may have on our services!